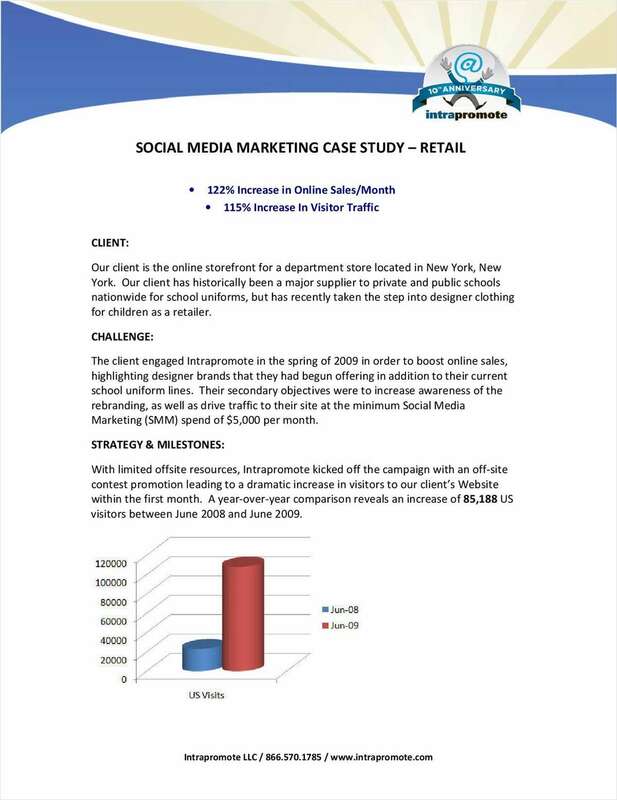 "Social Media Marketing Case Study – Retail Site"
Free Case Study: "Social Media Marketing Case Study – Retail Site"
Do contests really work in Social Media Marketing for online retailers? Can they be measured? Learn how an online clothing retailer entering a new market was able to leverage Social Media contests to produce a 122% increase in online sales and a 115% boost in search engine traffic. By submitting this content request, I have legitimate interest in the content and agree that Intrapromote, their partners, and the creators of any other content I have selected may contact me regarding news, products, and services that may be of interest to me.